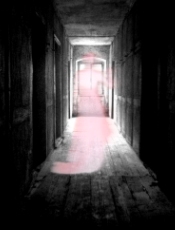 A spirit box produces audible sounds which may be interpreted as voice messages from paranormal sources. This one works by quickly sweeping FM (76MHz to 108MHz) radio bands, delivering continuous white noise. Periodically, words can be heard with varying clarity. You can passively listen, in real time, to the sounds produced and maybe you can make some sense of it in the context of your investigation. Maybe you can even correlate the sounds with some other events in the vicinity (EMF, temperature, odor, etc.). But why would anyone make the mental leap from random snippets of radio broadcasts to paranormal phenomena? Here’s where it gets interesting: Hear what happens when you ask a question! Very often, you will get an answer, and it makes sense! Don’t believe me? There are plenty of youtube videos out there demonstrating some very unexplainable (and sometimes very clear) messages from this device. Better yet, check it out for yourself, but be prepared to have the hair stand up on the back of your neck! There are two discreet audio outputs; (1) Earphone, and (1) Speaker. A bright EL back light display with manual ON/OFF select is ideal for viewing in the dark. The P-SB7 has an internal recharge circuit that maintains power to two "AAA" rechargeable batteries. No special skills required. Did you hear that? How many times have you wished you have recorded what you thought you heard? So you could play it over and over and study it. So that you could prove to your friends that it happened to. So that you could analyze it on your computer. So that you could post it on YouTube or share it with your ghost club. Imagine your pride when you are the one to capture clear undeniable audio proof of a big paranormal event. The USB Sound Recorder is no bigger than a flashdrive, perfectly pocket-sized for easy portability or covert recording. Good sound quality. Simple to operate and lasts about 10 hours on a charge. 4 GB memory holds about 40 hours of recording. Features simple one-key operation - no software to install. Supports Windows 2000/XP/Vista/win7: WAV format. Works as a standard flash drive as well. 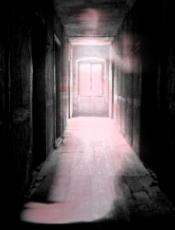 Useful to record your ghost hunt and other events in your life such as classes, seminars, speeches, and much more! 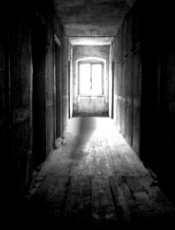 Hearing your first EVP is an amazing experience, and gives you a great story to tell. Imagine how much more powerful the story will be when others can hear the EVP for themselves because you recorded it! They will beg to hear it again and again, as the hair rises on the backs of their necks. Now that’s credibility. This quality digital voice recorder is easy to use and has a clear recording sound which is perfect for paranormal work. Very lightweight and compact, only 103mm*32mm*16mm. Built in mic, speaker and headset jack, with one-touch fast forward, rewind, play and record controls. Powered by a single AAA battery (not included) and has 4GB memory for hours of continuous recording. 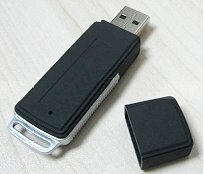 The MP3 audio files are easily uploaded to your computer. Use with free downloadable sound software such as Audacity to review, clip, clean up, and analyze your recordings. Upload the results to the internet if you like!